EXCLUSIVE AT NET-A-PORTER.COM. 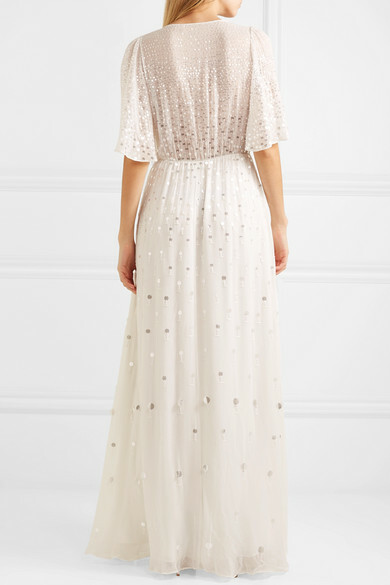 Alice Temperley has made dresses for everyone from The Duchess of Cambridge to influencer Pandora Sykes, who had her wedding gown created personally by the designer. 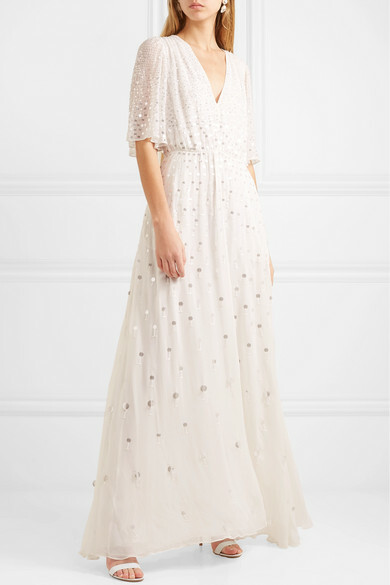 This 'Topiary' chiffon gown is stunning, thanks in part to its scattered sequin embellishments. The floaty sleeves and neckline are super flattering and, while it does skim the floor, it's not so long that it would prove tricky while dancing. Shown here with: Jimmy Choo Clutch, Gianvito Rossi Sandals, Sophie Buhai Earrings.